The importance of passive fit of implant frameworks has been debated in the literature for more than a decade. It has been suggested that ill-fitting frameworks can cause biological and mechanical complications to implants, abutments and prostheses. However, it has been shown that a microscopic misfit will always exist in the framework interface. Therefore, the pertinent question is what level of misfit is clinically acceptable and how to evaluate a framework in order to consider it acceptable in our patient. This presentation will review these questions and offer practical methods for objective evaluation of implant frameworks. Dr. Harel Simon received his DMD degree from the Hebrew University, Jerusalem, Israel in 1991. 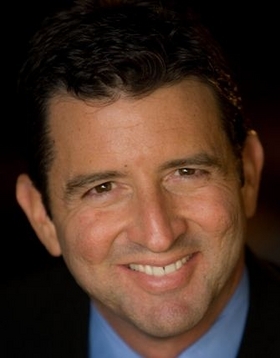 He received his specialty certificate in advanced prosthodontics from UCLA School of Dentistry in 2000. Dr. Simon is an active member of various professional organizations including the American College of Prosthodontists, the Academy of Osseointegration and the Pacific Coast Society of Prosthodontics. He has conducted research, published and lectured nationally and internationally on esthetics and implant prosthodontics. He currently serves on the editorial review board of the Journal of Prosthetic Dentistry and Quintessence International. Dr. Simon practices in Beverly Hills, California and is a clinical associate professor at the Ostrow School of Dentistry of University of Southern California.